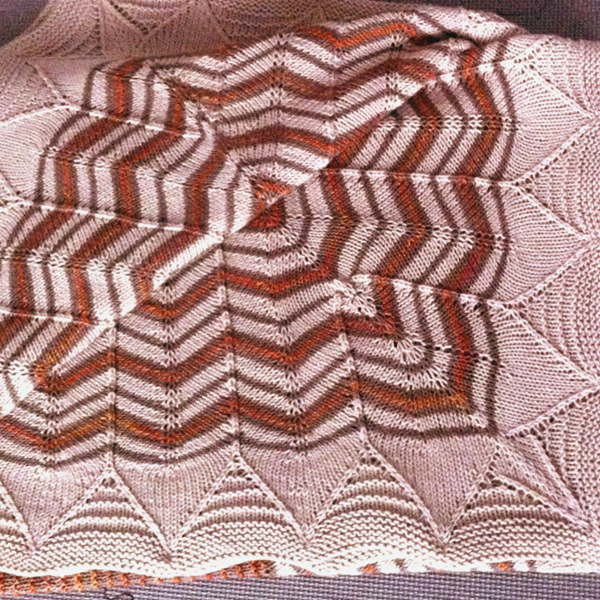 The client wanted an afghan based on my Petal Point Shawl. 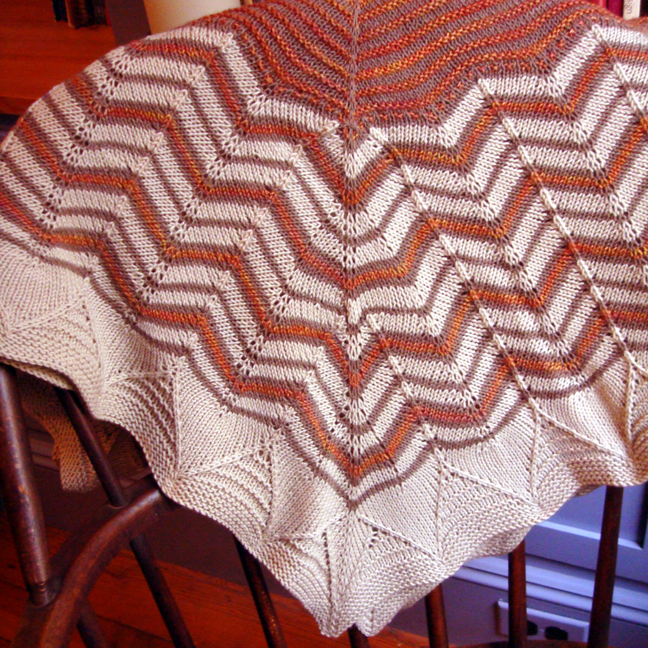 The shawl is a half circle and this afghan would be a rectangle. Also, we needed to choose colors that would complement the new very narrow color scheme. The new upholsteries being introduced to the space had very high-contrast, bold zig-zag graphics, so we worked to mimic that while keeping it low key. 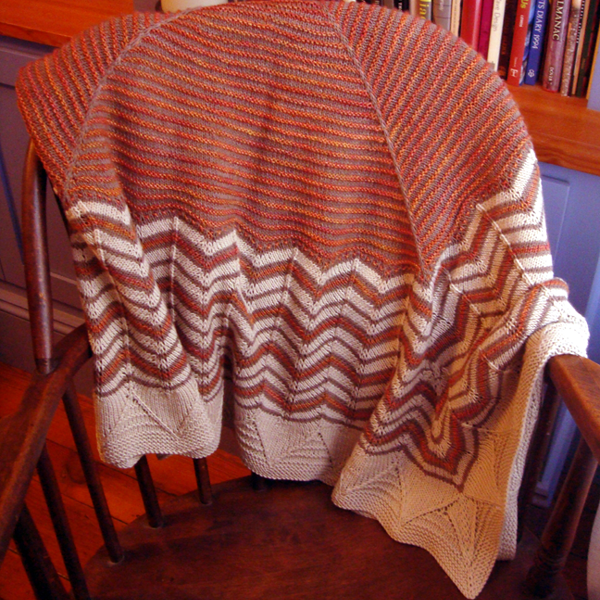 There was also an interest in having the color scheme move from dark to light, from center to edge, and thus this particular chevron striping pattern was developed. 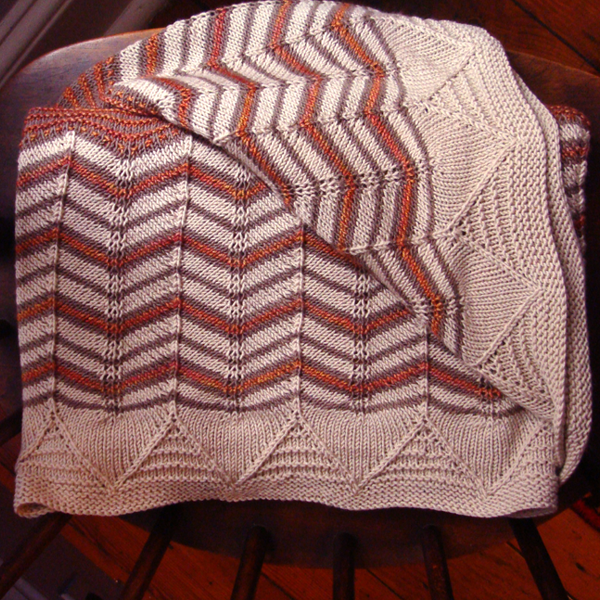 The piece is knit in the round from the center out to the edges. The yarn is mostly wool with a bit of cashmere and silk.